I'm back! My exam is over, my presentation is complete, and my papers have all been handed in. I'm really excited to have this semester behind me! While I was away from the blog, I did fit in something fun - I went to CMOA On Ice, an after-hours event at the Carnegie Museum of Art. I've been to a few really fun after-hours at the Carnegie Museum of Natural History (which is actually attached to the Art Museum), but was excited to explore the other half of the museum this time. I'm happy to say that I wasn't disappointed! We were told to wear our "holiday best or holiday worst," and luckily, I had the perfect sweater for the occasion in my closet. The event was called "CMOA On Ice" because they installed a temporary ice skating rink into the museum's Hall of Architecture. It was so cool to see an ice skating rink inside of the museum - not something you'd ever expect to see! 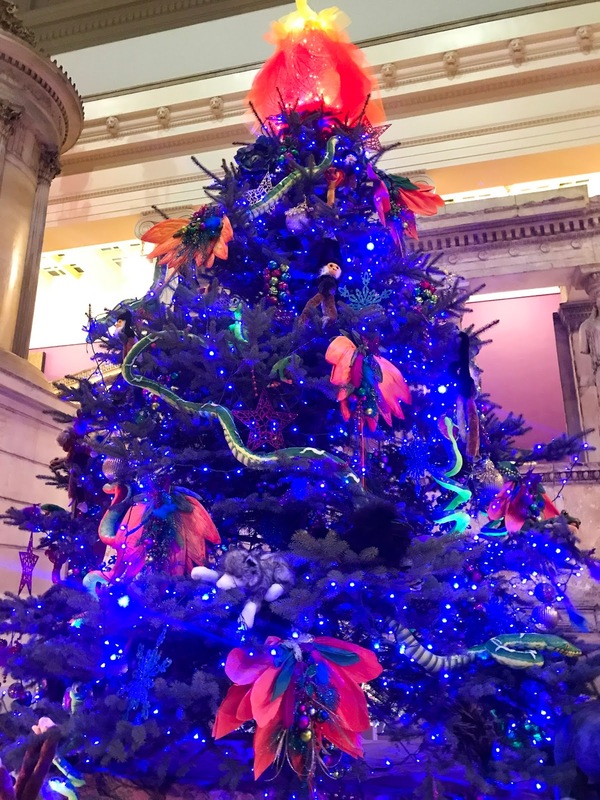 The rest of the art museum was open for exploring, too, and they had plaster ornament-making, silkscreening, hot chocolate bars, and tons of cookies! The prettiest part was looking at all the decorated Christmas trees. They were all themed after children's books, and the decorators did such an incredible job! You can see the Jungle Book and Wizard of Oz trees below - how amazing are they?! 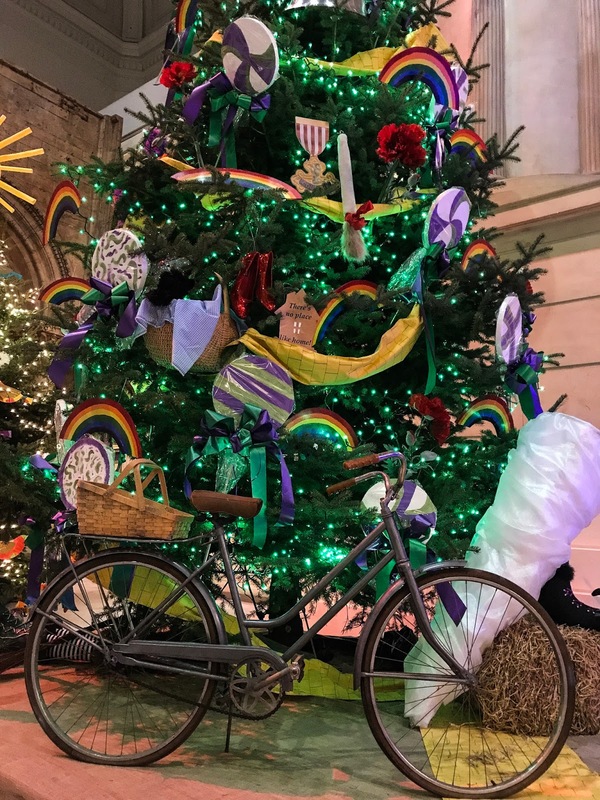 If you get the chance, I highly recommend you check out the Christmas tree displays, and look around the rest of the museum while you're there - you won't regret it!